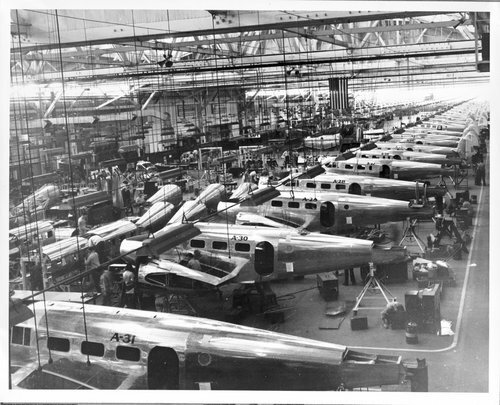 This black and white photograph shows the assembly line for the D18S's at the Beech Aircraft Corporation in Wichita, Kansas. Thirty days after V-J Day this assembly line was beginning production. At the end of sixty days, the first D18S's were rolling out of the hangar doors just 16 short weeks after final victory.